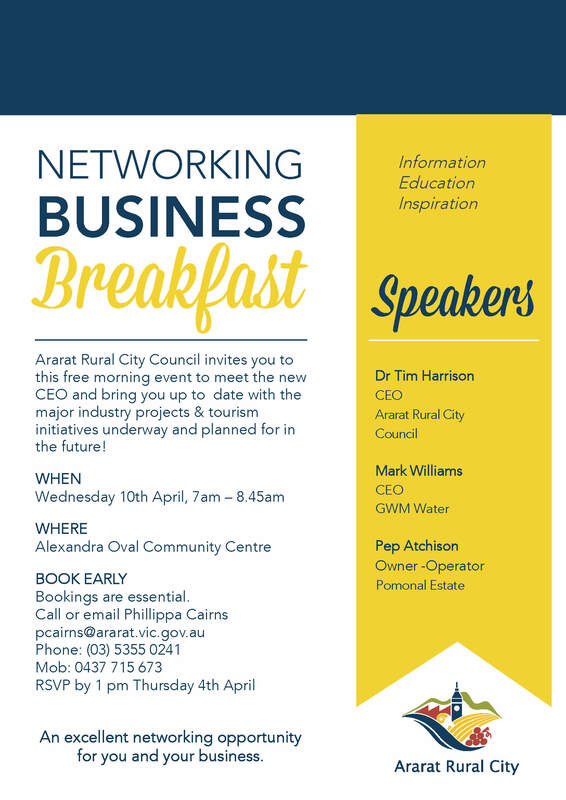 Ararat Rural City Council invites you to this free morning event to meet the new CEO and bring you up to date with the major industry projects & tourism initiatives underway and planned for in the future! Booking is essential as this is a catered event and places are limited. RSVP by Thursday 4 April to Phillippa Cairns on 5355 0241 or email: pcairns@ararat.vic.gov.au.